First Week Back is Done! September 11, 2016 September 10, 2016 Amanda B.
I just finished the first week back in kindergarten. It was hot, fun, hectic week and I am glad it is over! That first week back is always the most stressful for me. Now we can get into school routines and get settled in for the year. I haven’t posted anything to the blog in a few weeks. My teaching partner and I had to move classrooms and I wanted to focus on getting things ready for the new school year. 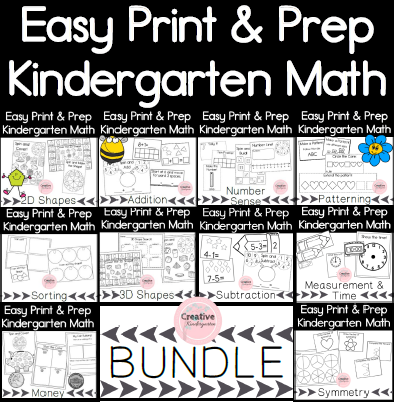 These are easy print-and-go activities that you can set out with little prep! Hope your back to school went well, and I will see you again soon with some new products and activity ideas!